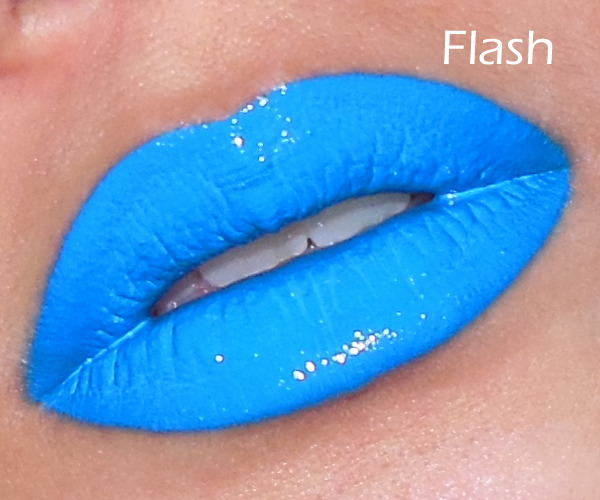 The Makeup Box: Tips and Tricks: What To Do with a Blue Lip Mix! 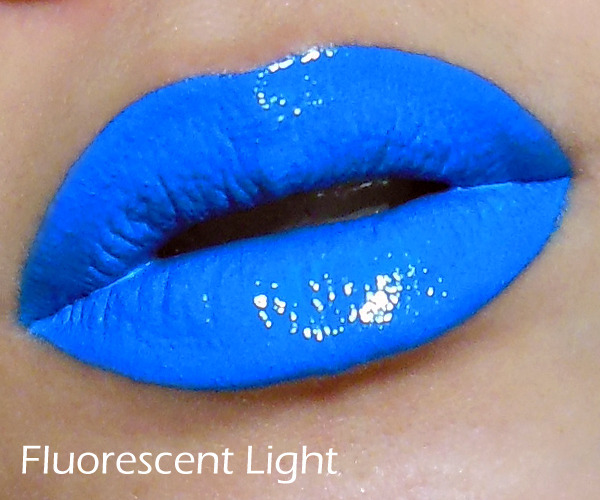 Tips and Tricks: What To Do with a Blue Lip Mix! 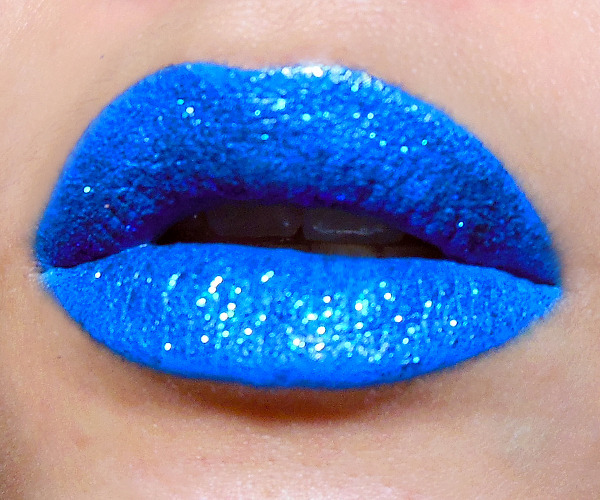 The idea of blue lips always sounds so ridiculous. Until you actually wear it and realize it looks pretty cool. 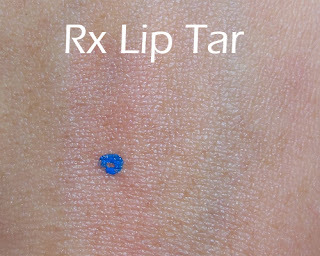 I'm demonstrating with Obsessive Compulsive Cosmetic's Rx Lip Tar, which is a rich creme cobalt blue. It's quite deep and strong in real life, but for some reason in white fluorescent light, it looks bright blue. 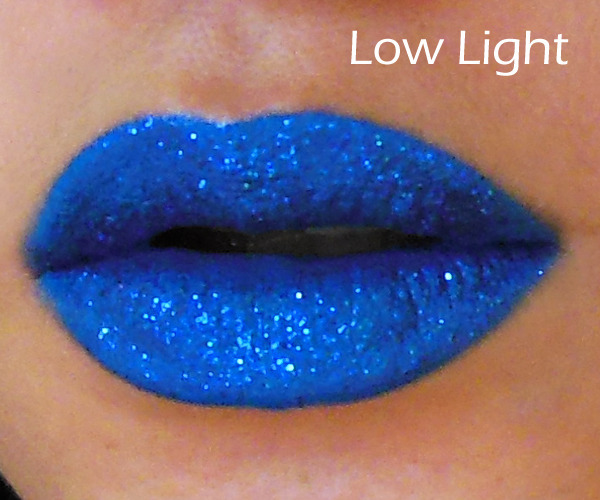 In indoor light, the sharp contrast of the blue against your skin color is going to create a dark border right around the lip color. In flash, the blue is going to GLOW. Use a small concealer brush. There is no way you are getting this on using your fingers or directly from the tube. You will need plenty of precision because any streak, smear, or uneven lines is going to show up instantly. It's best to apply a lip primer or clear liner first. 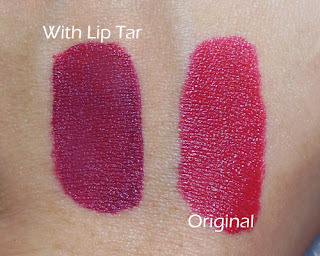 This is because lip tars will rapidly bleed into fine lines around your lips (as you can see from the slight fuzziness on some of the images above). For an extra precise lip, pick up a little concealer on a small brush after you apply your blue lip, and then go around the border of your lips just to clean up and get an ultra-neat line. 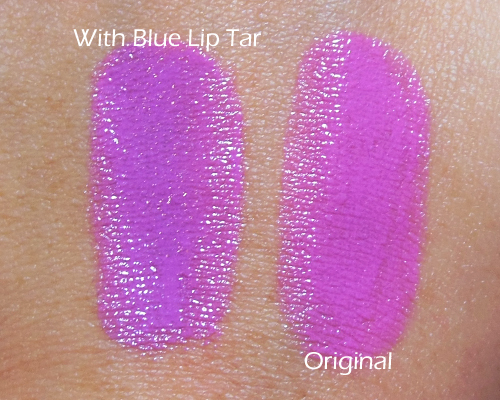 OCC Lip Tars AND MAC Lip Mixes will go on glossy, but eventually set to a matte finish. If you want to apply any glitter to it, do it quickly while it is still glossy, because once it sets it goes matte and it will no longer be as tacky. Wearing a cobalt blue lip isn't practical for everyone. So what else would you find useful in a Lip Tar or blue lipstick? 1. Add cool tones to a color that you find a little too warm (yellowish, orange) for your liking. Adding this to a basic red lipstick allows you to make it almost berry-ish or blood-colored. Very cool if you're going for a glam look or have deeper skin and find most reds showing up orange on you. 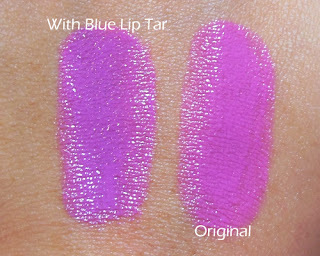 When added to a pink or mauve, it intensifies the bright magenta/violet tones so you can add a twist to your regular bright pink lipstick. 2. It adds depth to an already-deep color. Try adding a dot into a dark plum or liver colored lipstick. Instant Noir. This works the same way that a translucent blue-toned hair dye can turn brown hair black. Don't over-apply when you're using it as a lipmix! 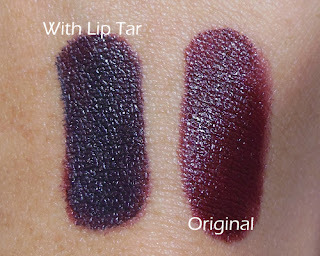 The color is extremely pigmented and can overtake the original lipstick you're trying to adjust. This little. That's ALL I used for the 3 lip color adjustment swatches above. One tube is probably going to last you for years if you're only using it on yourself.